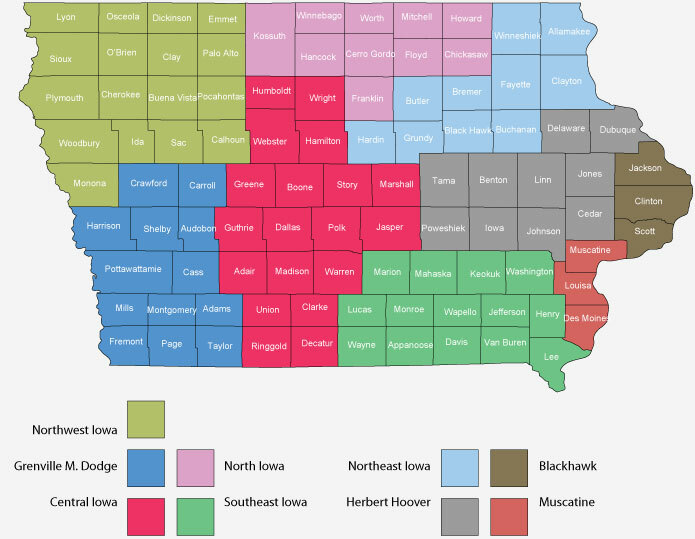 The Iowa Engineering Society is made up of nine chapters throughout the State of Iowa. View the Chapter Map below. with the Herbert Hoover Chapter.). with the Northeast Iowa Chapter. ).